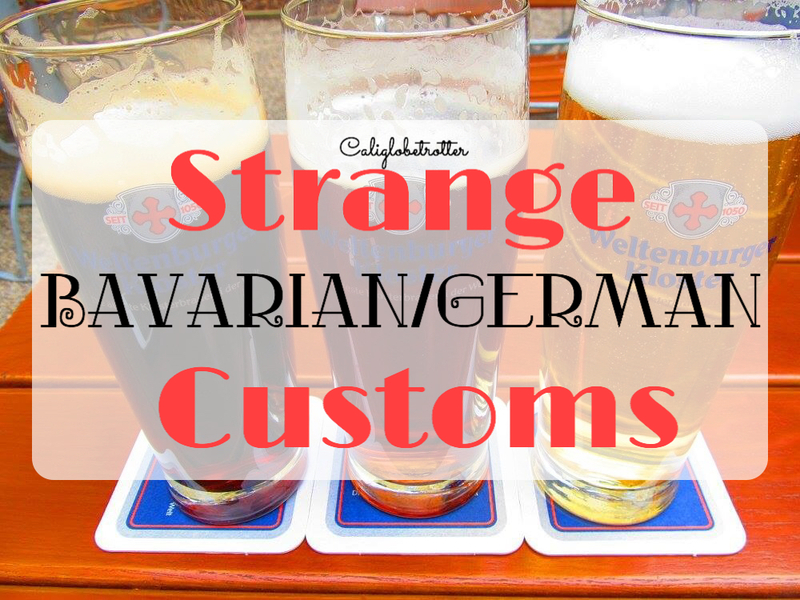 I thought I would write a little blog about some of the strange Bavarian customs I have noticed since living in Germany which I find interesting and hard to get used to. I say Bavarian at the moment because I can’t compare some of the customs with other places in Germany. When I lived in Baden-Württemberg, I never truly experienced the culture like I have done in Bavaria. I never went to the doctors during the year I studied abroad and I never went into a house that was owned by a German. Since I started teaching kids for my new English job, I have gotten to really understand some habits and understanding the Bavarians a bit better by entering their homes. MOST IMPORTANT #1: Bavarians ARE NOT Germans! I say this with the most straight face possible. Bavaria is a southern state within Germany, but many Bavarians still like to think of Bavaria as its own KINGDOM! There has not been a king since King Ludwig III who reigned from 1913-1918. After the first World War, many kingdoms were overthrown to be replaced by a democratic society. 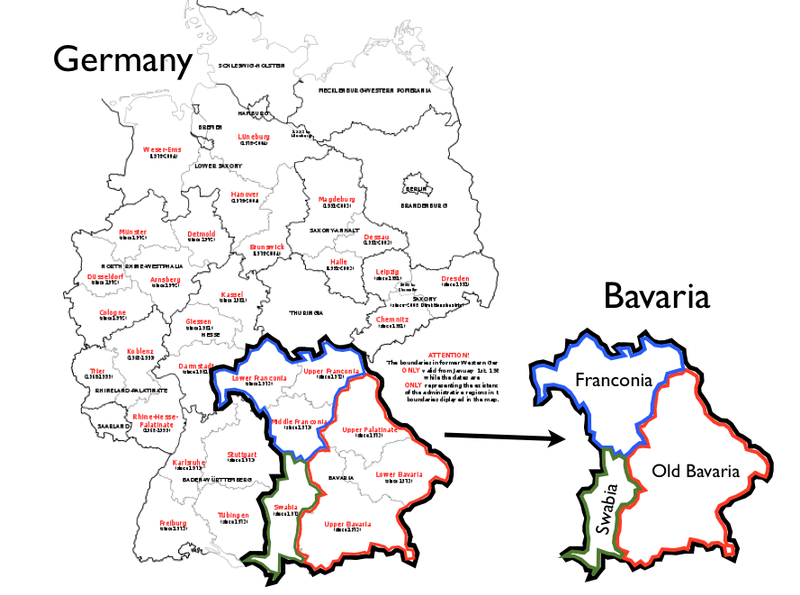 When I taught business English, many people seriously thought that Bavaria should be its own Kingdom again (many still claim it is) and separate itself from the rest of Germany. At one point, I even asked a student, “What countries have you visited?” and she responded “Bavaria and Germany”. No, Bavaria is not a country! Its a state! 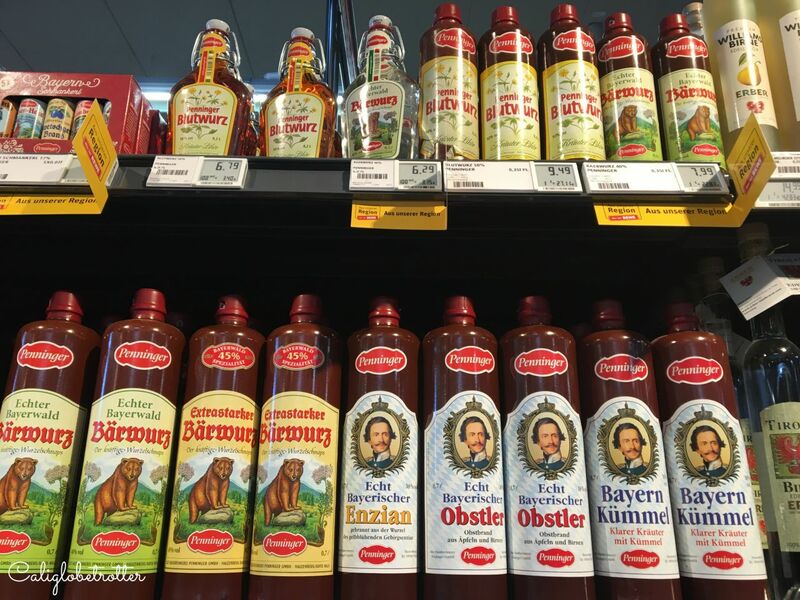 To get to the point, many Bavarians are VERY proud of their Bavarian heritage. I have heard its been said that this is how Bavarians rate themselves: 1. Bavarian 2. European 3. German. This is a hard custom for me to swallow. It is only common courtesy that upon entering someone’s house you should remove your shoes or ask if its ok to keep them on. Even we do this in the states. But what is really hard for me to swallow is that many German families offer some kind of SLIPPERS or SOCKS for you to wear while in their house. While this is very generous, I have a serious issue with wearing someone else’s sweaty old slippers or socks. I. JUST. CANT. ew. So normally I’m ok with saying “No thanks, my own socks are enough”. But there is a reason behind this household courtesy: They don’t want your feet to get cold or lead you to getting sick. I’m a California girl born and raised. I am perfectly comfortable walking around without shoes or socks on in a house year round. I wear my sandals until there is snow on the ground and I grudgingly put shoes on. So, if you don’t mind, thank you, but no thank you! Again, this is common courtesy to greet people whenever you enter and exit a room. But Bavarians take it a step further. ANY room you go into or even a hallway, they enjoy greeting you even if they don’t know you. For example, whenever I go to the Doctors and I am sitting in the waiting room, someone will come in or exit the room and still greet me Grüß Gott (hello) or Tschüss (goodbye) even though we don’t know each other. Us Americans would rather enter and exit a room without acknowledging the people we don’t know to avoid embarrassment. 4. Mopeds in the bike lane!? Yup, you heard me! I was unprepared for this when I started riding my bike all over town until one day a Moped went flying past me! Granted the fact that they don’t really go so fast, but compared to a bike its much faster. I guess Mopeds have the same rights as bicyclists in the fact that they are small and slow and cars just sometimes don’t see them. Therefore, they are allowed to drive on the bike lane for extra safety precautions. Thankfully, Regensburg is EXTREMELY bike friendly and has special lanes dedicated specifically for riding your bike along main roads. This I will say qualifies for all Germans. Germans are very strict about keeping their work life and private life separate compared to us Anglo-Saxons, we love mingling with coworkers we have become friends with. All my life I have only ever made my friends through my workplace. I believe that Germans are very strict about this because the whole German society is very formal when it comes to greeting people. In America, we quickly use everyone’s first name and would only use a Mr./Mrs. Smith when the situation is very formal, for example, people in high positions that demand respect, teachers and occasionally, when your child and been brought up with manners, they greet parents of their friends with this. However, in Germany it is always like this. Even my boss at my last job, I was not permitted to call her anything but Frau “Smith” as a sign of respect. I don’t even want to get into the formal “Sie” grammar meanings for what we would generally use as “You” upon talking to someone. With my first teaching job, I was surround by foreigners who had come to Germany to teach English, therefore, we all became friends and addressed each other by our first names. Now my second job, is predominately German natives and I have yet to hang out with any of my coworkers outside of work, not for a lack of trying. Luckily, we are pretty informal and address each other by our first names. 6. Eating food with a fork and knife! Even Hamburgers!!! Many us Americans eat like barbarians and we don’t even know it because in Germany and most of Europe, eat everything with a fork and knife. Now in the states, we sometimes eat our pizzas with a fork and knife, but here, Germans sometimes even eat their Hamburgers and fries with a fork! I feel like such a savage when I am eating my dinners in the American form. I’ll always pick up my hamburger with my hands, but sometimes I try to appear more European by stabbing my French Fries with my fork. I can always spot fellow Americans by the way we use our fork and knives. Many of us hold our fork in our right hand and our knife in our left, but then switch hands to cut. 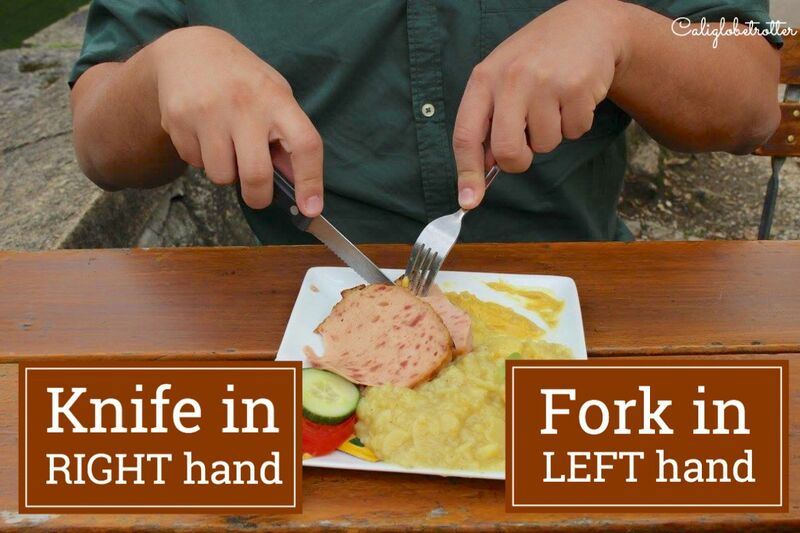 Europeans always have their fork turned upside down and held in the left hand with the knife in the right hand to do the cutting. I always try to appear to have more civilized manners when eating in public, but I always find I switch back to may old habits. But you will never catch me eating a hamburger with a knife! 7. 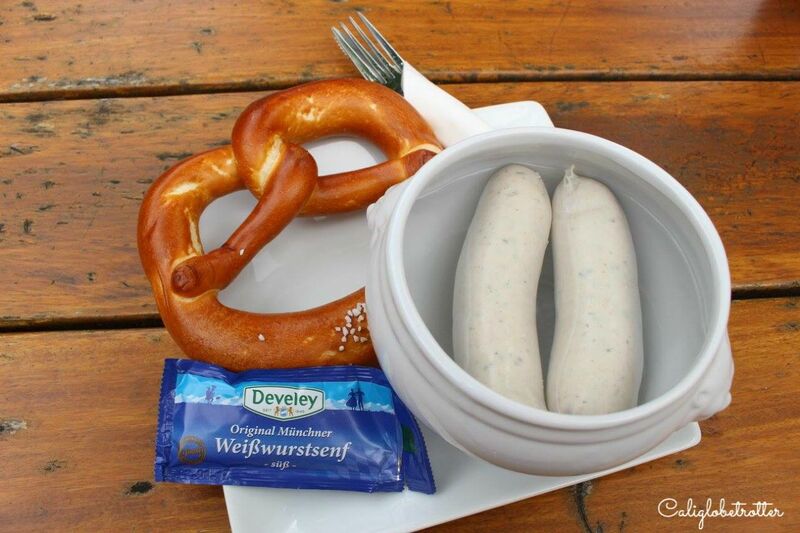 Weisswurst, Pretzels and beer….FOR BREAKFAST! One of my favorite Bavarian customs is eating this for breakfast. Obviously not all the time, but I sure would like to! It is custom to sit down for breakfast in the morning with at least 2 Weisswurst, 2 pretzels and a beer. The Weisswurst is the interesting part. First you have peel off the skin from the sausage. This grosses me out every time and it always reminds of a body part I would rather not mention. For a while I had to have Hans peel my sausages, but now I’m a grossed-out Pro! Along with your meal, it is necessary to have a sweet mustard to dip your sausage into before taking a bite of your pretzel swallowed by a gulp of (for me) Weizen beer! No matter what time of day, Bavarians and Germans alike will always find time to enjoy a beer! 8. 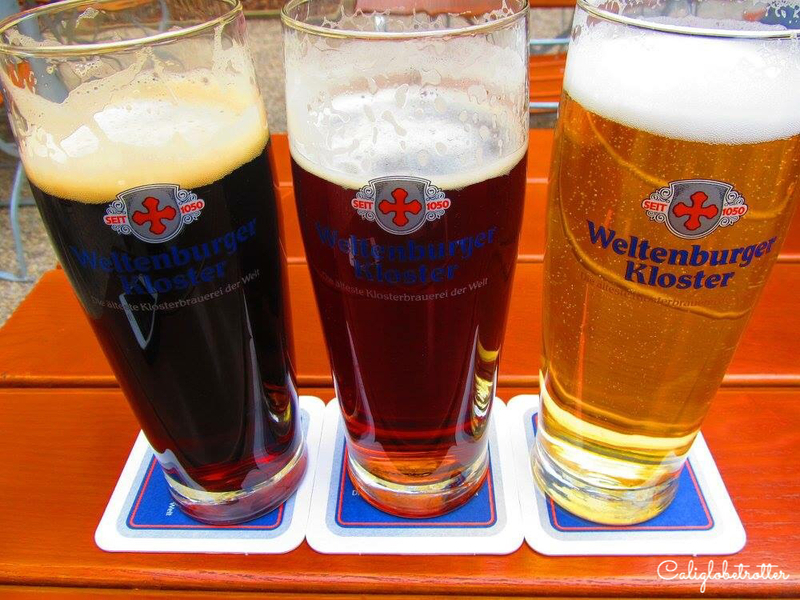 Germans LOVE their beer…with carbonated lemonade or soda in it! Germany is like the founding father of GOOD beer! You will never find crap American beer like Budweiser or Coors Light. That is not beer! That’s piss water! I thought Germans had it all figured out until one day my roommate ordered a Radler. A Radler is a beer with carbonated lemonade in it! My mind was blown. I couldn’t believe that this good German beer was being watered down with lemonade! So naturally I tried it and didn’t like it. It makes the beer too sweet for me. Just when I thought I could handle the Germans messing with their awesome beer, my roommate did it again to me when he ordered a ColaWeizen which was half coke and half beer. Again, I was mind-boggled! Here are these Germans who are so strict about preserving the purest ingredients in their beer, that there is even a law for it and then they go and put funky things in their drinks! 9. Did someone say SCHNAPPS? As an American, I had no idea what this was or when was the appropriate time to drink it since in my family, we never drank it. Just so you know, Schnapps refers to a STRONG alcoholic beverage. Not until I began dating Hans and met his family did I begin to learn to drink it. Schnapps is usually served after dinner and comes in many different flavors such as pear, peach, apples, plums and cherries. I have even discovered a raspberry schnapps. Having a flavor makes it a little bit easier to go down, but believe me, YOU WILL WANT A CHASER! Its like drinking pure straight up alcohol and burns on the way down. Hans’ brother has told me its to help digest the food in your stomach after a large meal. I feel peer pressured to have at least one, sometimes another when the Schnapps really starts to flow. 3 bloggers like this on caliglobetrotter.wordpress.com!